Hawking suggests we should start looking at real estate elsewhere in the universe — but first, we have to go back to the moon. Back in May, renowned physicist Stephen Hawking made yet another doomsday prediction. He said that humanity has 100 years left on Earth, which knocked 900 years off the prediction he made in November 2016, which had given humanity 1,000 years left. With his new estimate, Hawking suggested the only way to prolong humanity’s existence is for us to find a new home, on another planet. Speaking at the Starmus Festival in Trondheim, Norway on Tuesday, Hawking reiterated his point: “If humanity is to continue for another million years, our future lies in boldly going where no one else has gone before,” he explained, according to the BBC. Specifically, Hawking said that we should aim for another Moon landing by 2020, and work to build a lunar base in the next 30 years — projects that could help prepare us to send human beings to Mars by 2025. “We are running out of space and the only places to go to are other worlds. It is time to explore other solar systems. Spreading out may be the only thing that saves us from ourselves. I am convinced that humans need to leave Earth,” Hawking added. Hawking’s plea comes almost 45 years since NASA’s last lunar mission, and he’s not the only one thinking about revisiting the Earth’s cosmic satellite. Even U.S. president Donald Trump wants to put a human on the Moon by 2020. Various plans, both from government space agencies as well as private ones, are already in the works. 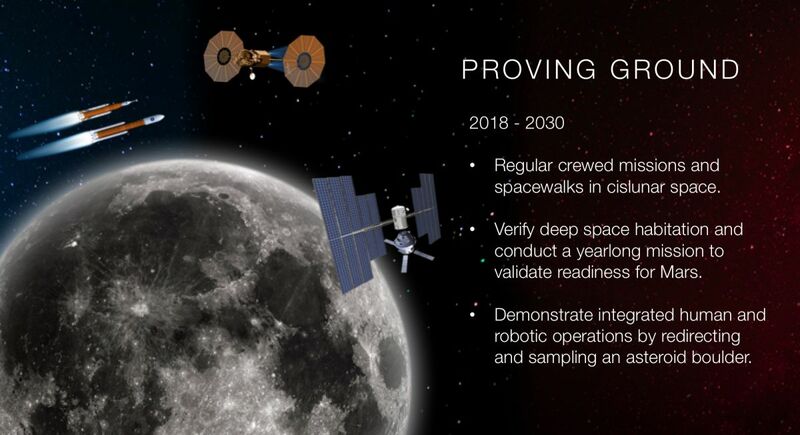 NASA’s mission to Mars, for example, notes that setting up an orbital lunar station would be a key step for a future mission to the Red Planet. Other nations are also working towards the same goal: China and Europe also hope to reach the Moon by the 2020s, and other countries are scrambling to set up their own lunar bases, too. It’s an echo of the Cold War era space race — except now, there are more nations in play. For private space agencies, the Moon seems to be more of a special tourist attraction than a permanent domicile: SpaceX is already preparing for its first privately-funded round trip to the Moon, while Jeff Bezos envisions an opportunity for a special delivery service to facilitate the construction of any permanent off world settlement. For Hawking, though, aiming for the Moon (again) is not only about survival, but strengthening humanity while we’re still on Earth — for however many years we have left here. “I hope it would unite competitive nations in a single goal, to face the common challenge for us all,” he said. “A new and ambitious space program would excite (young people), and stimulate interest in other areas, such as astrophysics and cosmology”.